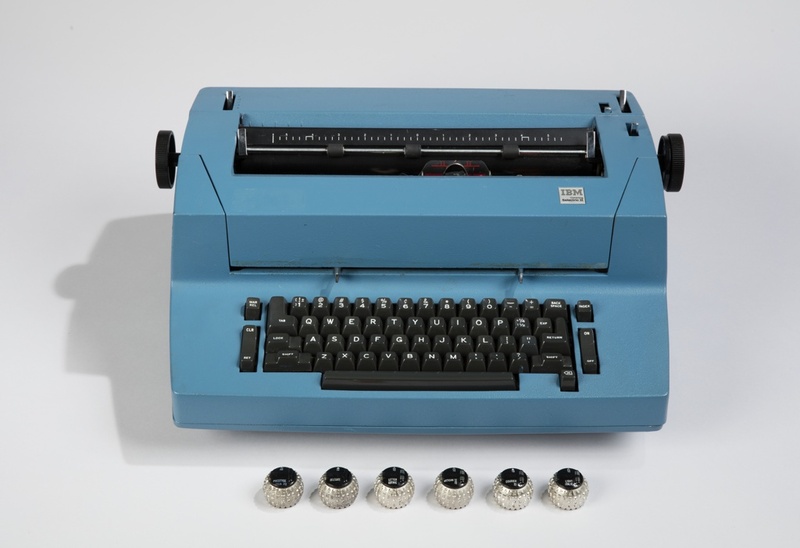 See more objects with the tag keyboard, parts, blue, typewriter. 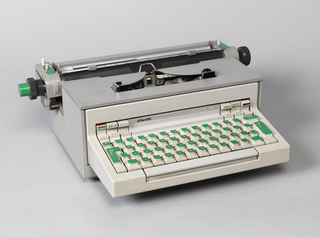 This is a Typewriter and Typing Elements. It was designed by Eliot Noyes and manufactured by International Business Machines Corp. (IBM). We acquired it in 2017. Its medium is aluminum, steel, molded plastic. It is a part of the Product Design and Decorative Arts department. 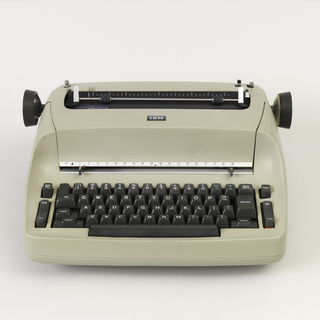 IBM’s Selectric typewriter revolutionized typing technology by improving the speed and flexibility of business and personal writing. 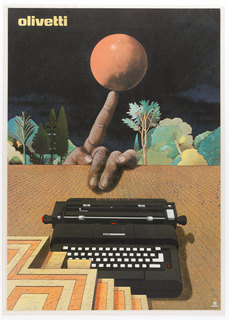 Instead of the "basket" of individual type-bars that swung up to strike the ribbon and page in a traditional typewriter, the IBM Selectric had a circular device, covered with typographical characters, that pivoted to the correct position before striking. 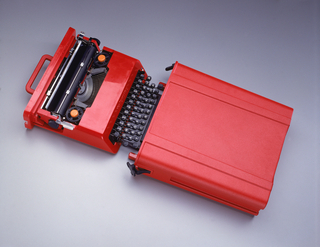 A modified version of the Selectric was incorporated into one of the first computer terminals, serving as the keyboard for the IBM System/360 computer in the 1960s.